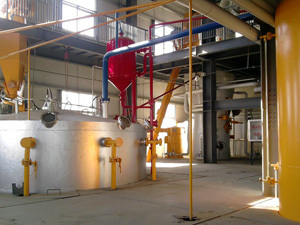 Vegetable oil is usually pressed by Vegetable Oil Processing Machine in small oil milling plant . KMEC Vegetable Oil Processing Machine is suitable for crushing all types of oil seeds whether edible or non edible i.e. 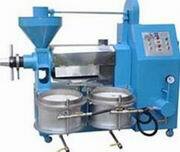 providing vegetable oil processing machine, edible oil pressing machine and non edible oil expeller machine. Made of high grade material, our manufactured machines offer flawless performance, are easy to use, are durable and require negligible maintenance. Our Vegetable Oil Processing Machine is available at competitive prices, and is available in different capacities and specifications. Vegetable oil processing machine can also be called full pressing and is usually applied at small capacity oil milling plants. For this process there is a single pressing machine. 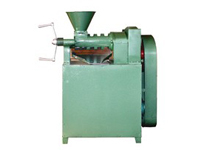 These mills work on the principle of mechanical extraction to press oil from seeds. 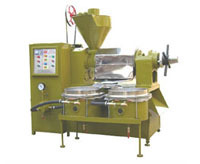 For seeds with high oil content, double pressing should be incorporated for maximum yield. With KMEC’s vegetable oil processing machine the oil residual in cake is around 5-7%. The use of a single processing machine doesn’t require chemical treatment for oil extraction. The major advantage in using a single processing machine is that it greatly increases the oil yield. The resulting oil’s quality is high, as it is pure and healthy from not being chemically treated. 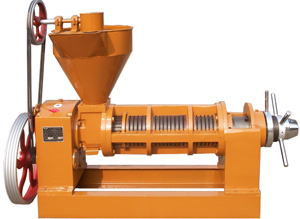 Single pressing machines are used to press oil from nearly all kinds of oilseeds besides corn which included sunflower seeds, cotton seeds, mustard seeds, copra, peanuts, linseeds, flax seeds and soybeans.